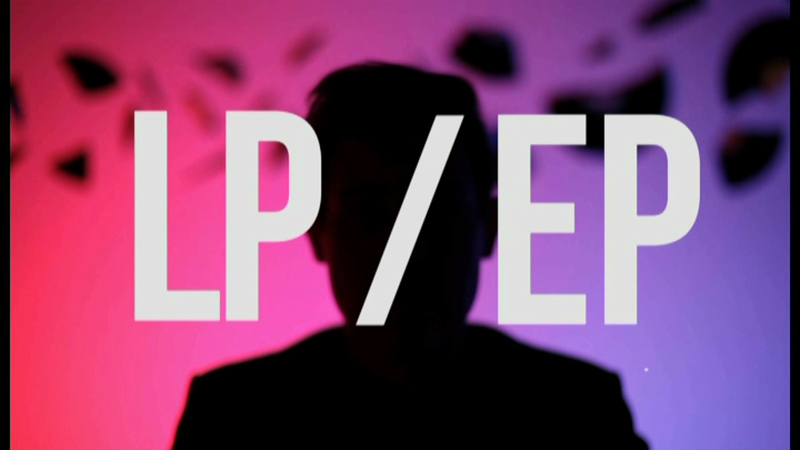 EP vs. LP: What Is an EP? EP vs. LP: What Is an LP? In the music world, LP is a full studio album and EP is extended play. EP is more than just a single song but does not have enough tracks to be a full LP. EP vs. LP comes down to what you want on your album. EPs were introduced through vinyl as singles. One of the first musicians to take advantage of EPs was Elvis in the 1950s. Bands such as the Troggs and The Beatles made use of them in the 1960’s; both bands included previously released tracks in addition to new singles. Used as samples for albums or collections of popular singles, both bands were a big hit and treated as a high end seven-inch vinyls with fancy album sleeves and bonus tracks. The original seven-inch EPs contained about ten minutes of music, whereas the next EPs introduced were twelve inches and lasted over twelve minutes. As cassettes and then compact disks were introduced, the EPs focused more on new hit singles but still contained over 25 minutes of music, seemingly growing in length as technology advanced. The Recording Industry Association of America now classifies an EP to have three to five songs, whereas a single has up to four songs. The LP was introduced to the world of music in 1948 by Columbia Records. The LP changed the music by changing the basics of phonographic disks. Originally made of shellac, there was a lot of noise produced by just playing them. Then vinyl was introduced and the world of music became a lot clearer. Originally used for classical music and soundtracks, the new LPs were played at a new speed and had many more uses. The new LPs are now able to have over twenty minutes of playtime on each side! With the additional time play, more tracks are available per purchase, before what it would have been one LP was a series of EPs. They were a quick hit amongst music fans of all types—more music for their money. They were quickly accepted as the new way to listen to music by all consumers, and LPs are still the standard format for vinyl albums today. Whereas a LP has a side A and B, an EP’s got the best of the best. When consumers purchase an EP, they know exactly what they are getting and there is little to no fluff. However, on an LP released with the same tracks as an EP, the B side is included like a B movie—it is not all the best quality work. When a consumer wants to get their money worth, they will go for the LP. Knowing the best songs will be on there, and there is even a chance that there may be one extra song that touches you and you just cannot live without. Instead of buying several EPs, the whole package is on one LP; originally due to length available on the vinyl, the same rules still apply for compact disks. EPs have great promotional advantages. When a new album is going to be introduced by a band, they may pre-release an EP to get the hit singles rolling. After that, they will introduce the LP to get the whole album experience. Usually a single consumer buys both versions–a double win for sales and profits.